The world today is between orders. The so-called “rule-based liberal international order” – which was neither liberal, nor particularly orderly for most of us – is no longer attractive to those who created and managed the order from WWII until the 2008 global economic crisis. At its height, that order brought unprecedented prosperity to a large segment of humanity while simultaneously exacerbating inequality, bringing identity, emotion and demagoguery to the fore in politics, and making possible technological revolutions (in energy, information technology, digital manufacturing, genetic engineering, artificial intelligence and other fields) which promise to upend our lives, economies and societies in fundamental ways in the near future. Indeed, if the world seems out of joint there is an objective reality to support that conclusion. Today the world is effectively multipolar economically — relative shares of global GDP, the location of economic activity in the world, and the contribution of large emerging economies to global growth all show this to be so. At the same time, it remains unipolar militarily. The Royal Navy, at the height of Empire, had a two-power standard, that the Royal Navy should be at least as large as the next two biggest navies put together. The US Navy today is equivalent to the next 13 navies put together, and the US defence budget is equal to the next seven largest national defence budgets in the world. Today nuclear deterrence prevents conflict at the highest level and pushes it down to lower levels of the spectrum of violence – into civil wars, small wars, asymmetric violence and conflict and the non-state domain. Politically, the world is confused rather than being orderly or structured. It is the imbalance between the distribution of economic, military and political power in the world that is the source of our sense of insecurity, of events being out of control, and that creates spaces that groups and local powers like the Islamic State and Pakistan exploit. In the past, such imbalances were settled by conflict and war. Today nuclear deterrence prevents conflict at the highest level and pushes it down to lower levels of the spectrum of violence – into civil wars, small wars, asymmetric violence and conflict and the non-state domain. Since the 2008 crisis, we have seen a slow, weak and hesitant economic recovery in most of the world. We should probably get used to the post-miracle world since the global boom from WWII to 2008 was a blip in historical terms. The world (but not India) now faces depopulation, deleveraging and de-globalisation. Despite grim prospects for the world economy as a whole, the UN forecasts that if China grows at 3%, India at 4% and the US by 1.5%, by 2050, China’s per capita income would be 40% of US levels, and India’s at 26% – where China is today. China would be the world’s largest economy (in PPP terms), India the second, and the US the third. By that time, both India and China will be overwhelmingly urban. This would be an unprecedented situation where the largest economies will be among the most powerful states, but will not also be the richest. Asia is no exception to the great transition at the global level, indeed it is where the transition is most marked as Asia returns to global centre stage, economically and politically speaking. What we see in Asia today as a result of decades of globalisation and the rise of China, India and other powers is an unprecedented situation: the continental order in Asia is being consolidated under new auspices and the maritime order in the seas near China is contested. The balance of power in Asia and the world has shifted. For the first time in history, China is comfortable enough on land – with no real enemies now that the West has pushed Russia into her arms – to turn to the oceans on which she depends for her prosperity. China seeks primacy in the seas around her. This is a historic transition that she has never successfully managed before. Her only previous attempt in the early Ming dynasty failed. What is new for Asia is the attempt to centre both continental and maritime orders on one single power. The response of existing power holders to this shift in the balance, like Japan and the US, has been to tighten the first island chain security and other ties that China sees as containing her, and to seek partners for a “Free and Open Indo-Pacific”, an ill-defined concept that implicitly concedes the continental order to China, and does not fully meet India’s security needs since we are both a continental and a maritime power. Several voices in the present US administration also seek to limit China’s rise by using the US’s technological and other superiorities. The reaction of other countries in the region such as India, Indonesia and Vietnam has been to balance and hedge against rising Chinese hard power by building military strength and by working together in defence, security and intelligence. This is a natural balancing phenomenon, that has resulted in the world and history’s greatest arms race in Asia in the last three decades, fuelled and made possible by the wealth that globalisation brought to the hard Westphalian states east of India. To our west, new technologies empowered non-state actors, rogue regimes and radical movements. East and West, we see a continuous belt of weapons of mass destruction – nuclear and chemical, don’t even mention biological – from the Mediterranean (Israel) to the Pacific (North Korea). If the rapid shift in the balance of power and uncertainty have led states to behave in ways that exhibit grave insecurity, this has been heightened by worry or disquiet about China’s behaviour as a power. That China seeks primacy has been clear since 2008, but whether she is able or willing to provide the global public goods that the world has got used to remains in doubt. Will China provide for the security of the commons – the high seas, cyber and outer space – or provide access to her own markets, or build coalitions and work with others to sustain a predictable international order? On present behaviour the answer must be no to all three questions. China’s preference remains to deal with each country bilaterally. When the US imposes tariffs on Chinese exports, she negotiates bilaterally and has not taken her complaints to the WTO or its dispute resolution mechanisms, even though she would be in the right in terms of the WTO’s role and rules. The preferred pattern is what we saw on climate change before the Paris agreements when China and the US negotiated an understanding and brought it to the international community to accept. If they are able to resolve their trade issues bilaterally, which is unlikely, they might then consider what they bring to the WTO, including how to reform it into their effective instrument. The WTO itself is irrelevant. This is about power, not trade. Nor is the US wiling or capable of enforcing an international order in Asia, as she did, to a great extent, from the 1970s onwards. The Trump administration, like the one before it, has made it clear that partners and allies are expected to do much more themselves, and that “America First” amounts to a withdrawal to a much more transactional form of engagement with Asia. For a short period in the past, China sought “a new type of major power relations” with the US which could have amounted to a condominium. But the present state of China-US relations and their limited success in cooperating even on issues where their declared policy is the same, as on the North Korean nuclear weapons programme, suggests that a G-2, unlikely as it is, could no longer deal with the region’s security issues. Despite their economic co-dependence on each other, we have seen how the US has imposed tariffs and demanded a series of fundamental structural changes in the way China grows and acts, whether in the “Make in China 2025” programme, in market access, in her IPR practices and forced technology transfers and so on. These are reminiscent of US demands on Japan in the 1970s and 1980s but, as the Chinese have reminded the US, they are not Japan – a subordinate ally dependent on the US for their security – and are not willing to sign the equivalent of the Plaza Accords as Japan did. I believe that the causes of China-US contention today are structural and that what we are seeing is a phase transformation in China-US relations where elements of contention will outweigh the elements of cooperation in their relationship for some time to come. The root problem is that neither can be seen to give way. China cannot afford to accept US terms which effectively prevent China’s continued rise. And the US cannot abandon her policy since WWII of preventing the emergence of a peer competitor on the world stage. This is not to say that there will not be deals and understandings and considerable business between the US and China. There will be. But the deals, like President Trump’s June understanding with Kim Jong Un in Singapore, will not change the fundamental dynamic on issues that matter. China herself has little choice but to continue on the path that she has chosen. She has a moment of relative advantage in Asia and in the world economy today before her demography starts limiting her rise and her economic growth reverts to mean, as happened to all the other rapid industrialisers in Asia, and before natural strategic reactions by other powers to her rise in a crowded Asian geography begin to operate and limit her freedom of manoeuvre. Internally, she faces the task of continuing and stabilising one-party rule when reform itself has reduced the ability of the state to produce economic outcomes, direct society and control people’s lives. Today she spends more on internal security than on national defence. And she faces a crisis of success. The reforms that she declared necessary in the third plenum of the 18th Central Committee in 2013 cut at the interests of the main supporters of the regime – state-owned enterprises, banks, party cadres and the People’s Liberation Army – which is why they have remained largely unimplemented. 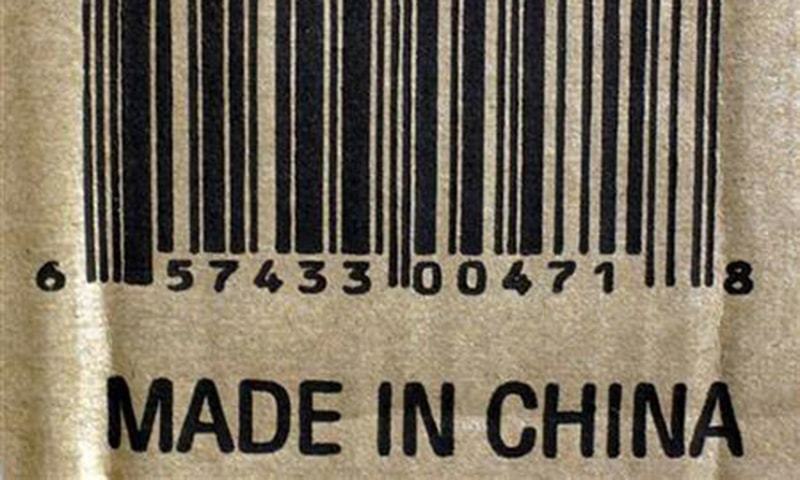 Globalisation has made China more dependent on the outside world than ever before in her history. 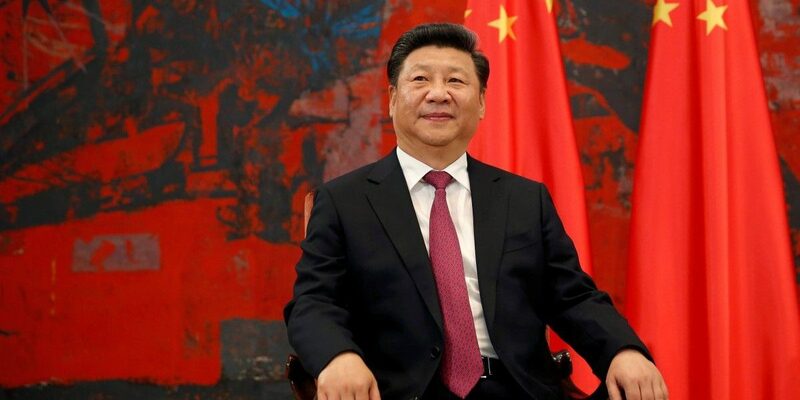 This Chinese leadership confronts a situation that no Chinese leadership has ever faced: of a powerful China dependent on the outside world while being acutely conscious of China’s internal brittleness. International primacy is now seen as necessary to secure China’s rise or, to use the Chinese leadership’s words, China’s rejuvenation. It is China’s dependence on the world for energy, commodities, technology and markets that drives her to consolidate Eurasia and attempt to transform herself into a maritime power. The resulting tensions between internal priorities, traditional mindsets of a continental Asian power, and the realities of China’s situation are what make predicting China’s trajectory difficult, and make bad choices likely. The impact of US tariffs and the prospect of the US confronting China has added stresses to China’s calculus. In the long run, China will work to ensure that she is not placed in this position in the future, not by decoupling from the US but by building her own leverage and by creating countervailing opportunities for herself in the world. For me, the best analogy is the Chinese reaction to the 1996 Taiwan Straits crisis when she was humiliated in her own back yard. Since then she has militarised the seas around Taiwan (the South China and East China seas), built up her naval forces, tightened Taiwan policy, and raised the costs of intervening in the enclosed seas near China which are now virtually a Chinese lake. 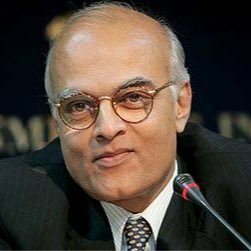 Shivshankar Menon was India’s national security adviser till 2014.